The best response to this has to come from his wife. John says he went home and complained that he was tired of people think he was the Flash and told her his story. Her response was to point out that he was complaining about one fan coming up and complimenting his act and another person mistaking him for a handsome, 28-year old actor… who she says he doesn’t look like. Nice way to put things in perspective. If the writers on Flash see his interview, they absolutely should book him for a role next season. 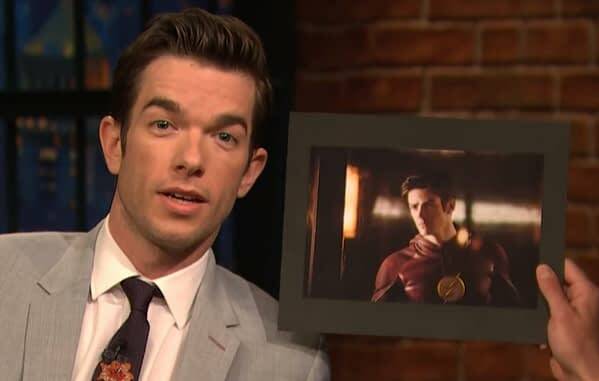 Maybe he can play Malcolm Thawne aka Cobal Blue, Barry Allen’s biological brother.